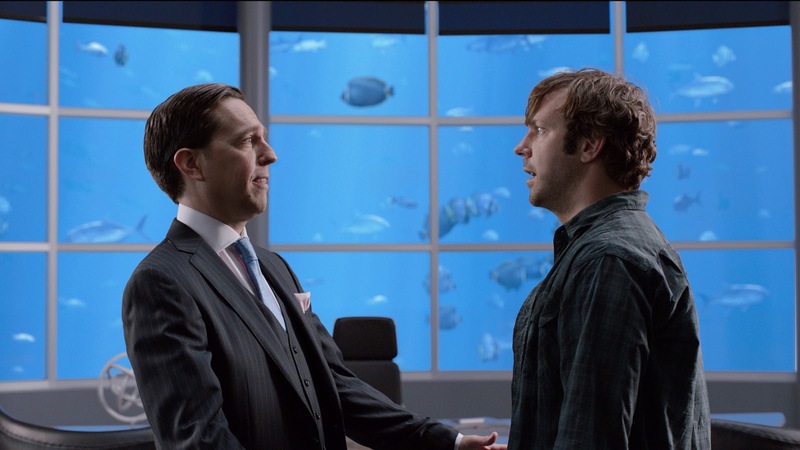 Jason Sudeikis (“Horrible Bosses”) plays David Clark, a small-time pot dealer whose clientele includes chefs and soccer moms, but no kids—after all, he has his scruples. So what could go wrong? Plenty. A trio of gutter punks steals his stash and cash, leaving him in major debt to his supplier, Brad. In order to wipe the slate clean—and maintain a clean bill of health—David must now become a big-time drug smuggler by bringing Brad’s latest shipment in from Mexico. Twisting the arms of his neighbors, cynical stripper Rose and wannabe customer Kenny, as well as streetwise teen Casey, David devises a foolproof plan. One fake wife, two pretend kids and a huge, shiny RV later, the “Millers” are headed south of the border for a Fourth of July weekend that is sure to end with a bang. Pierced street punk Casey, played by Emma Roberts (“Valentine's Day”), rounds out the Miller family as the daughter David never wanted. Roberts allows that her character “is a runaway and a bit of a delinquent, a brat, a rebel, and in it for the money. The four of them, the Millers, could not be any more different; they’re all kind of loveable, but each character has a quirky shortcoming of some kind, which makes for a funny group. And a pretty realistic family, I think,” she laughs. The Millers’ assignment comes at the behest of Brad, a major player in the Denver drug market and beyond. Ed Helms (“The Hangover” trilogy) took on the small but critical role and, much to the filmmakers’ delight, brought his own sense of wackiness to the part.